Quick Links | Where would you like to go? The intern program is designed to provide an opportunity to learn about the legislative branch of government through participation. We are always accepting applications from interested students. Interns are unpaid and therefore interns need to provide their own housing. 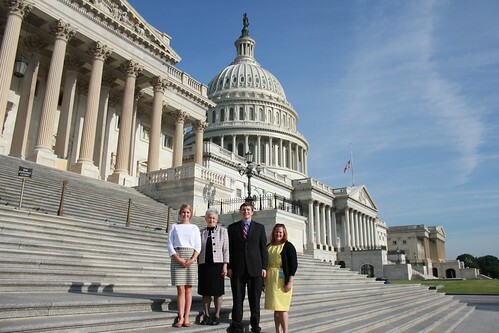 Interns are involved in the daily work schedule of our district and Washington, D.C. congressional offices. Download the Intern Application here! Interested candidates should download the word document version also available at the bottom of this page. Candidates should also email a copy of their resume, cover letter, and one letter of recommendation to Tabetha Bryant at Tabetha.Bryant@mail.house.gov. For more information about Congresswoman Foxx’s internship program or to ask questions please contact Tabetha by email or by phone at (202) 225-2071. Flexible term, furnished, apartment and house rentals on Capitol Hill in Washington, D.C. The Heritage Foundation requires you to intern through them to receive housing. "The Home Page of Capitol Hill"
A list of featured Hostels in the Washington, D.C. area by Hostels.com. The Governor's Page Program, a year round program established in 1973, provides an opportunity for high school students to spend a week in Raleigh and learn of the roles and functions of state government. Each week, Pages will be assigned to a cabinet level agency or Council of State office within the state government complex to assist employees with various tasks. In addition to their daily responsibilities, Pages will have the opportunity to attend press conferences, tour several historic landmarks including the State Capitol, the Legislative Building, the Executive Mansion, the Supreme Court and the NC Correctional Institute for Women; participate in service projects; and meet the Governor. The North Carolina House of Representatives Page Program affords youth of the State the opportunity to see firsthand how laws are made by participating in the legislative process. Young people help in Representatives' offices, in committee meetings, and during daily Sessions for one-week terms when the General Assembly is in session. Representatives are encouraged to sponsor students from a variety of backgrounds. The North Carolina Senate Page Program affords youth of the state the opportunity to see firsthand how laws are made by participating in the legislative process. Young people help in individual Senators' offices, in committee meetings, and during daily Sessions for one-week terms when the General Assembly is in session.